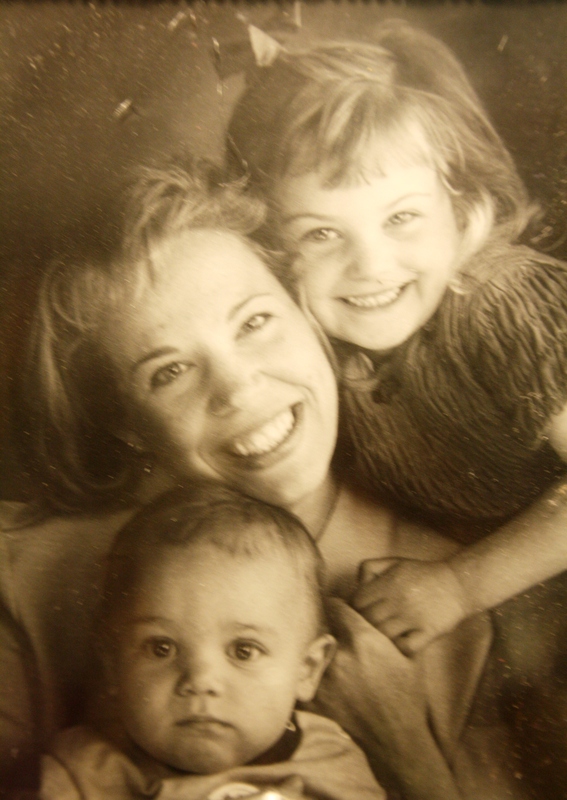 Elsie, 3, Nick, 1, and me in 1997. As most wonderful things do, my writing career started with naptime. Not for me, but for my two (out of an eventual three) children, it was afternoon stay-in-your-room-even-if-you-can’t-sleep time, so I had a brief moment to take a deep breath and look at the newspaper. I can’t remember any of the news stories that day, but I do remember seeing Barbara Hanson’s byline all over the place. I remember I was jealous. I wanted to be Barbara Hanson. I wanted my byline in the paper. I wanted to see my name in print. I wanted to do something fun and important, you know, aside from caring for my baby humans and teaching them to walk and talk. I called the Suburban desk editor to ask for a job. I had no portfolio, no tear sheets, only a B.A. in English and an article I had once written about running a day care to recommend me, but I would not be deterred. Jealousy has always been one of my prime motivators. I called at just the right time. The newspaper had just been sold and, unhappy with new management, many of the reporters were leaving. Would I do a trial assignment? Sure, I would. Barbara Hanson was taking the weekend off, and they needed someone to cover the town’s Memorial Day parade. Cover a parade? Are you kidding me? I could cover a parade with my eyes closed. Filled with bravado, and with my parents accompanying me so they could watch the kids while I did my job, we headed over to the festivities. Once I got there, I realized I had neglected to ask my editor one crucial question: how do you cover a parade? Indeed, how do you “cover” anything? My parents took the kids away and I just stared at the sea of people dressed in patriotic colors, waving flags and eating snow cones, and I wondered, how I would make sense of it all? How would I find out what was going on and who was doing what and how I would turn it into a story? What was the narrative here? I decided to start at the finish. A special box with comfortable seats for dignitaries and special guests was placed at the finish line. I went there and found a determined-looking woman dressed in a wrinkled top and cargo shorts with pens and notebooks sticking out of every pocket. Her outfit’s color scheme was decidedly unpatriotic. She was asking important people important questions. I could tell she was a reporter, and she clearly knew what she was doing. I followed her. She noticed. “Are you here from the Enterprise?” she asked. “I’m with the Patriot Ledger,” she said, and shook my hand. She looked me up and down. I was dressed in red, white, and blue. I had no pockets. Her eyes took on a pitying look. “Come with me,” she said. She gave me a program that listed everything an important person planned to say and do. The program listed all the floats in order by appearance with sponsor names spelled correctly. She let me watch her interview a handful of bystanders so that I could find my own bystanders to interview and to quote. Then, she was done. She wished me luck. I wanted to hug her, but she didn’t really seem the type who would appreciate that, so we shook hands again and she took off. I interviewed a few bystanders. I asked my father to find out how to spell the name of a priest I had interviewed and planned to quote, but whose name I had neglected to ask. (I was too exhausted from pretending to know what I was doing, and I just couldn’t bring myself to do one more difficult thing. Thanks, Papa.) I went home and wrote my story and made my afternoon deadline. The next day, I rushed to open the paper to see my story and my byline in print. And there it was: a brilliantly composed review of the town’s Memorial Day festivities by, who else? Barbara Hanson. Remember, this was in the days before digital publishing. “We weren’t going to make you a byline template if we weren’t going to keep you,” my editor explained, and so my first story was attributed to the regular beat reporter, the woman I wanted to be, Barbara Hanson. I got my wish. My own byline showed up the next week and appeared with hundreds of local news stories that followed. I don’t have them anymore. The tear sheets were lost in a basement flood, but that’s a story for another day. Perhaps my third blog? After all, I am a blogger now.